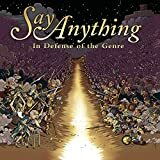 SAY ANYTHING SHE GOT AWAY LYRICS"
Do you still miss me when everything is quiet in your room? All Say Anything - She Got Away lyrics are property and © copyright of their respective owners. All She Got Away lyrics provided for educational purposes only.